Indeed, companies in the S&P 500 Index turned in 10.3% earnings growth in Q2 – the highest advance since 2011's third quarter, according to S&P Capital IQ. Full-year profit growth for the broad-based benchmark is currently forecast to come in at 8%, up from estimates of 7.5% in July. Furthermore, full-year earnings per share expectations of $118.39 would mark an all-time record for the index. That bodes well for investors hoping for more dividend hikes. 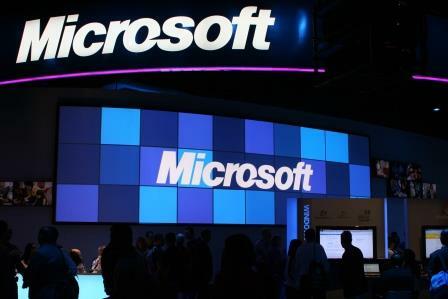 Last week Microsoft Corp. (Nasdaq: MSFT), McDonald's Corp. (NYSE: MCD), and 22 other dividend stocks hiked payouts. Here's the full list of dividend enrichments announced during the week ending Sept. 19. Apollo Residential Mortgage Inc. (Nasdaq: AMTG) upped its quarterly dividend $0.02 to $0.44 a share for a 10.72% yield. Artesian Resources Corp. (Nasdaq: ARTNA) hiked its quarterly dividend 1.5% to $0.2151 a share for a 4.25% yield. Blackstone Mortgage Trust Inc. (NYSE: BXMT) boosted its quarterly dividend $0.02 to $0.50 a share for a 7.2% yield. Covanta Holding Corp. (NYSE: CVA) raised its quarterly dividend $0.06 to $0.25 a share for a 4.66% yield. Covidien Plc. (NYSE: COV) increased its quarterly dividend $0.04 to $0.36 a share for a 1.6% yield. Eaton Vance Floating-Rate Income Plus Fund (NYSE: EFF) boosted its monthly dividend 1.1% to $0.094 a share for a 6.38% yield. Eaton Vance Senior Floating-Rate Trust (NYSE: EFR) hiked its monthly payout 2.7% to $0.074 a share for a 6.39% yield. Eaton Vance Floating-Rate Income Trust (NYSE: EFT) increased it monthly dividend 2.8% to $0.074 a share for a 6.05% yield. The First of Long Island Corp. (Nasdaq: FLIC) boosted its quarterly dividend $0.02 to $0.28 a share for a 3.06% yield.